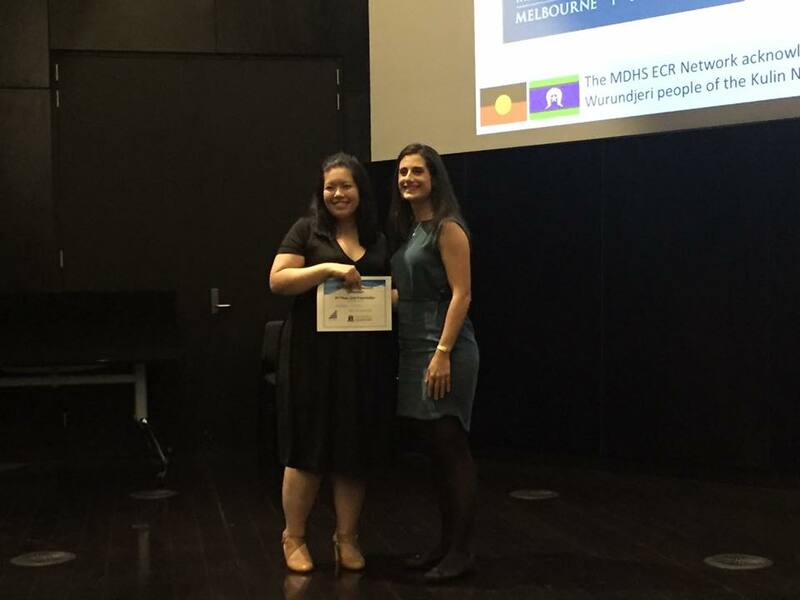 Congratulations to Dr Michelle Peate, winner of the 2nd Oral Presentation Prize at the MDHS Early Career Researcher Symposium held in Parkville on 19th October 2017 for her presentation titled “The role of decision aids in cancer to support fertility decision‐making”. 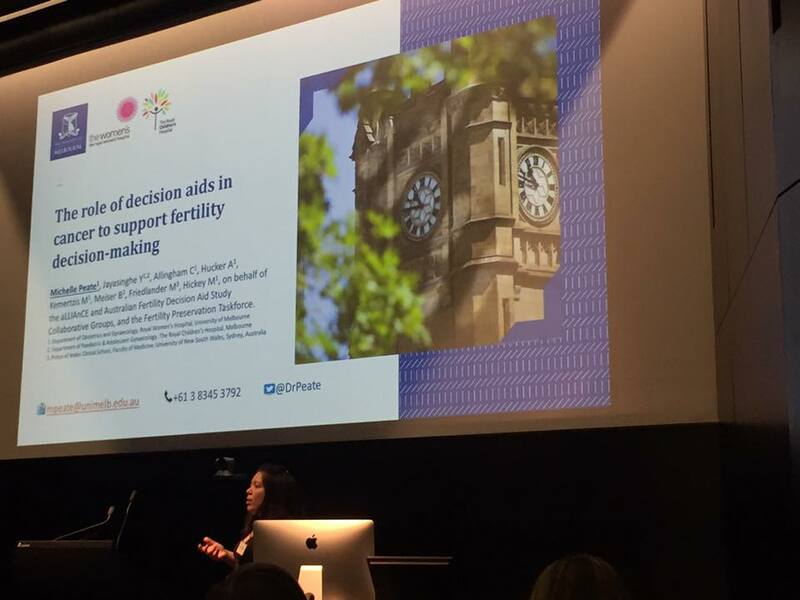 This research was undertaken by Peate M, Jayasinghe Y, Allingham C, Hucker A, Kemertzis M, Meiser B, Friedlander M, Hickey M, on behalf of the aLLIAnCE and Australian Fertility Decision Aid Study Collaborative Groups, and the Fertility Preservation Taskforce. Dr Michelle Peate is the Program Leader for the Psychosocial Health and Wellbeing Research (emPoWeR) Unit based at the Department of Obstetrics and Gynaecology, University of Melbourne and a National Breast Cancer Foundation (NBCF) Early Career Fellow. In her current role she is overseeing a number of research projects in psychology, cancer and reproductive health. Her main goals involve the development of resources for people who need them, and their evaluation through prospective, multi-centre psycho-oncology studies.